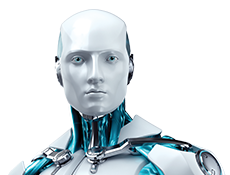 IT security pros around the globe depend on ESET Endpoint Security and ESET Remote Administrator (ERA) to protect against malware, safeguard their businesses and manage entire networks from a single console. © 2008- ESET North America. All rights reserved. Trademarks used herein are trademarks or registered trademarks of ESET spol. s r.o. or ESET North America. All other names and brands are registered trademarks of their respective companies.